Climate modeling of paleo observations indicate that 3 million years ago in the mid-Pliocene, the average global temperature was 2-3°C higher than today, and global sea level was around 25m higher. Studies show that as the Pliocene ended, glaciation in the Northern hemisphere (north pole/Arctic) ice sheet began. One of the keys to what helped the world cool was the closing of the isthmus in Panama. When the movement of the tectonic plates closed the isthmus, the Atlantic was no longer able to receive warm water from the larger Pacific ocean. This allowed the Atlantic to cool more in the winter and this played a large part in development of the glaciation. The formation of an Arctic ice cap was identified by an abrupt shift in oxygen isotope ratios and ice-rafted cobbles in the North Atlantic and North Pacific ocean beds. Help others learn about climate by sharing the video. You can use the URL or even use the embed code to place in blogs. Just hover the arrow in the lower right hand corner of the video to open the code window. The 'ice extent' relates to the surface ice. 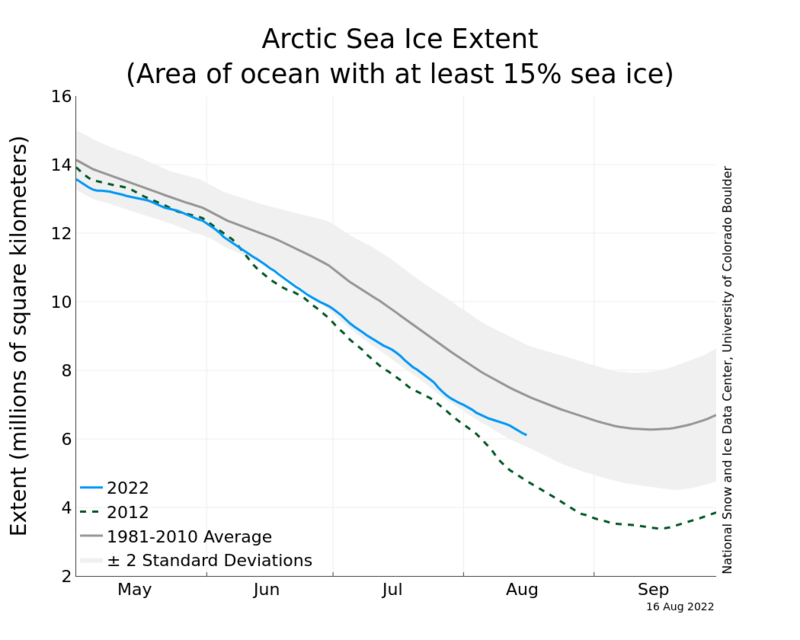 There has been an observable decrease in ice extent of around 3.3% per year. Sea ice data updated daily, with one-day lag. Orange line in extent image (left) and gray line in time series (right) indicate 1979 to 2000 average extent for the day shown. Click for high-resolution image. Learn about update delays, which occasionally occur in near-real-time data. Read about the data. The 'ice mass' mass is the total amount of ice. The thickness of the ice is measured by various means including NASA's ICESat, Sonar courtesy of the US Navy and military satellites. Multi-year ice is typically thicker than young ice and so ice age is also a good measure of ice thickness. 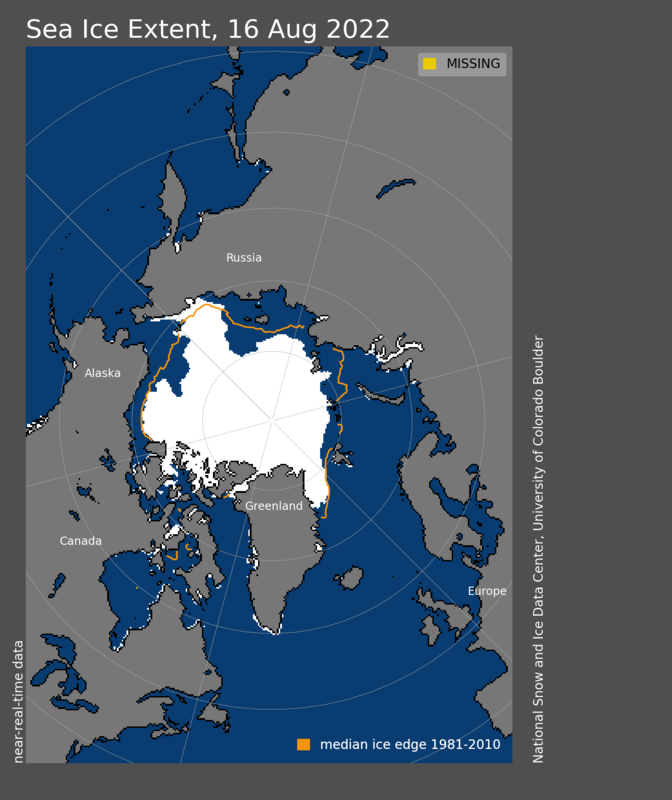 NASA Earth Observatory, Arctic Routes open again.